Is It True That I Can Get Paid To Be A Family Caregiver? A number of our clients have, at one point, served as personal care providers for their loved ones. Some have even been paid to be their parent’s caregiver. We are lucky that in Massachusetts there are several programs which will pay family members for caring for their elderly or disabled relatives in their homes. So the short answer is yes, family members can be paid to provide personal care, but only under certain conditions which we will outline below. The Massachusetts Home Care Program is a state-sponsored program that is administered through regional Aging Services Access Points (ASAPs). In Massachusetts, there are 26 Aging Services Access Points. The ASAP’s role in the state is to provide home-based services such as case management and to seniors so that they can continue to live independently in their home. To receive payment for your services you will first need to have the senior undergo an assessment for their care needs. The ASAP’s designate certain agencies to conduct the assessment in your area. Click here for more information or to locate an ASAP near where you live. The ASAP will send a team to your home to assess the need for services and help you and your family develop a service plan. The criteria for an objective assessment of activities of daily living were created by the Commonwealth’s Executive Office of Elder Affairs. Depending on your family’s income you may have to pay a monthly co-payment, but this is based on a sliding scale. Note that program benefit levels may change based on the state budget so please check with your local ASAP for current benefits. To be eligible, the person receiving care must be at least 60 years old or older. However, applicants under age 60, may qualify if they have a diagnosis of Alzheimer’s or another type of dementia. Also, as mentioned earlier, the service recipient must meet specific income eligibility guidelines. The Commonwealth of Massachusetts sets the income maximum income for the 2018 Home Care Program for 2018 at $27,636 for individuals and $39,104 for couples. Individuals or couples whose income is higher than the income maximum mentioned above may be eligible for the Over Income Program in which they would make co-payments based on a percentage sliding scale fee. One of the areas requiring assistance must be a critical unmet need. Critical unmet needs can be defined as personal care, grocery shopping, medication management, meal preparation (or a need for home-delivered meals), transportation for respite or medical treatment. Experienced ASAP case managers will check out each elder’s abilities for activities of daily living by completing an in-home assessment. Based on this assessment the service plan may provide approximately 2.5 hours per week of services. 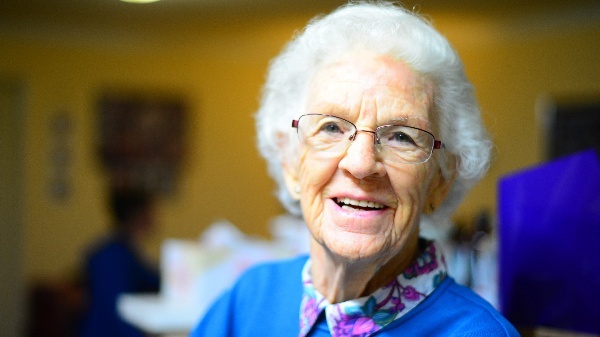 Within the Home Care Program, there may be additional levels of support and services for those eligible, including the Enhanced Community Options Program (ECOP), Frail Elder Waiver (FEW) and Consumer Directed Care (CDC). For details about getting paid for providing care or any of the programs above – call 1-800-AGE-INFO (1-800-243-4636). Don’t Want To Do It Yourself? Need Help? We’d Love To Be Of Assistance! We understand that family members and seniors, sometimes decide, after careful consideration, that a do-it-yourself approach, where you have to jump through a lot of hoops is not always best for all. We, therefore, would like to offer our help to you during a time of planning for these needs or during a time of crisis when you need home care services help. If you or your loved one need help with personal care needs, respite or other home care services- please give us a call at 1-800-296-9962.